With more and more consumers enjoying the ease of streaming media content — movies, TV shows, videos, music — at home, it made sense for TV manufacturers to add WiFi networking capabilities to their products. These new Smart TVs seem to be ubiquitous this holiday season, with built-in support for many popular video streaming services, including Netflix and Hulu Plus. When adding a Smart TV to your home, make sure to check your Internet speed to ensure the best possible viewing experience. With that in mind, here are the three best smart TVs that would make great Holiday gifts without breaking your budget. The television’s full array LED display offers a bright picture with 1080p HD video. Support for many streaming services, including, Netflix, Vudu, Pandora, and Crackle is built in. You are also able to access your social media accounts — Facebook, Twitter, and more — using the TV’s convenient collection of apps. Samsung gives you the option of a larger screen, 46″ Smart TV, with a retail price slightly above $400. The LED H5203 sports a CMR rating of 120 to go with its full HD 1080p picture. The high CMR means any high-speed sports action renders smoothly on screen. 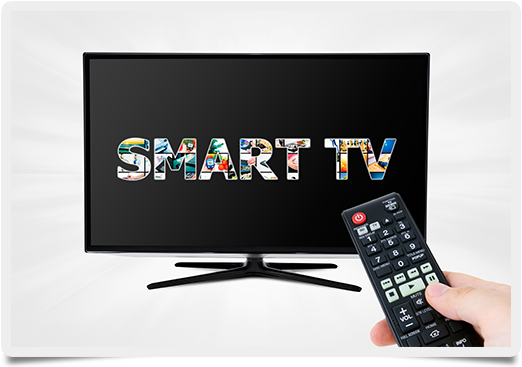 In addition to the standard collection of streaming media apps and services, this Samsung Smart TV includes the “Smart Hub” which offers an enhanced user interface for managing your streaming content and apps. If you plan on streaming most of your television content, the Samsung H5203 makes an excellent choice. If you are looking for a Sony Smart TV, check out the 40″ KDL-40W600B Bravia model, one of the best smart TVs. While it features a smaller screen than the Samsung, it offers enhanced backlighting with a unique contrast feature that promises a more realistic picture. Retailers carry this Bravia model for around $450. All your standard media streaming services are available on the Bravia, including the Sony Entertainment Network. The TV’s PlayStation Now feature means you can play your favorite PS3 games streamed to the TV without a video game console. Now that’s cool! So if you are in the market for a Smart TV this Holiday season, hopefully these three models piqued your interest without killing Santa’s budget!